For about 18 years, Tomonobu Itagaki was the face behind Tecmo's biggest hits. He was the producer behind the Dead or Alive fighting games, and the Xbox-era reboot of Ninja Gaiden. They weren't the only hits Tecmo had over that span (Monster Rancher and Fatal Frame deserve some credit), but Itagaki and his Team Ninja studio were key to the brand identity. And then, in June of 2008, just as Ninja Gaiden II was making its debut on the Xbox 360, the developer and the publisher had a very public falling out. According to Itagaki's version of events, when he confronted the president of the company about unpaid bonuses, he was told, "If you are dissatisfied with the decision not to pay the bonuses, either quit the company or sue it." Itagaki did both, filing a $1 million lawsuit alleging unpaid bonuses and "unreasonable and disingenuous statements made towards me." Tecmo responded by saying it had paid the developer a different bonus, calling his accusations "distortions." A former Tecmo staffer accused Itagaki of sexually harassing her beginning in 2003, the year Dead or Alive Xtreme Beach Volleyball debuted. The bonus payments may have been a breaking point, but this was not the first time Tecmo and Itagaki had friction. Two years earlier, Itagaki was accused of sexually harassing an employee over a period of several years, with the employee claiming Tecmo fired her after bringing her complaints up to the company. Tecmo insisted "the alleged sexual harassment of the former employee by Itagaki never took place," but said the two had "mingled personal affairs with their corporate responsibilities," and acknowledged it demoted and lowered the pay of both Itagaki and his accuser as a result. The rift went even further back. In a 2012 DICE presentation, Itagaki said Tecmo had actually tricked him into releasing the PlayStation 2 version of Dead or Alive 2. When Itagaki didn't think the port of the game was good enough to make the Japanese launch of the system in March of 2000, a Tecmo employee asked to borrow a copy of the latest build to play it for fun. Itagaki complied, but later discovered Tecmo took that version of the game as the gold master, which the developer said sank him into a months-long alcoholic depression. After the split, Itagaki founded a new studio with some former Team Ninja developers that was tentatively called Tokyo Vikings, but eventually emerged as Valhalla Game Studios. To date, the studio has produced three games: Devil's Third, Devil's Third Online, and the 3DS title Momotaro Dentetsu 2017: Tachiagare Nippon. Last year, Itagaki stepped down from his role as representative director of the studio to take an advisory position instead. Devil's Third was Valhalla's first. Whatever one might say about the critical reception of Valhalla's games, the studio has undeniably reflected Itagaki's personality. Aside from having rather distinctive executive photos, Valhalla's website has a permanent section dedicated to congratulatory notes it received upon its founding, with best wishes from (among others) Double Fine Productions founder Tim Schafer, the bass player in the Japanese instrumental rock band Ra:IN, and former All Japan Pro Wrestling star TARU. As is often the case in such splits, it has been difficult for the children. Tecmo stuck with Ninja Gaiden after Itagaki's departure, releasing a disappointing third installment to mediocre review scores in 2012. That was followed in 2014 by even worse scores for the zombie-themed spin-off Yaiba: Ninja Gaiden Z, and the franchise has been dormant since. Dead or Alive seems to have coped a bit better, with 2012's Dead or Alive 5 receiving several upgrades, eventually being made free-to-play and loaded up with years of DLC costumes. 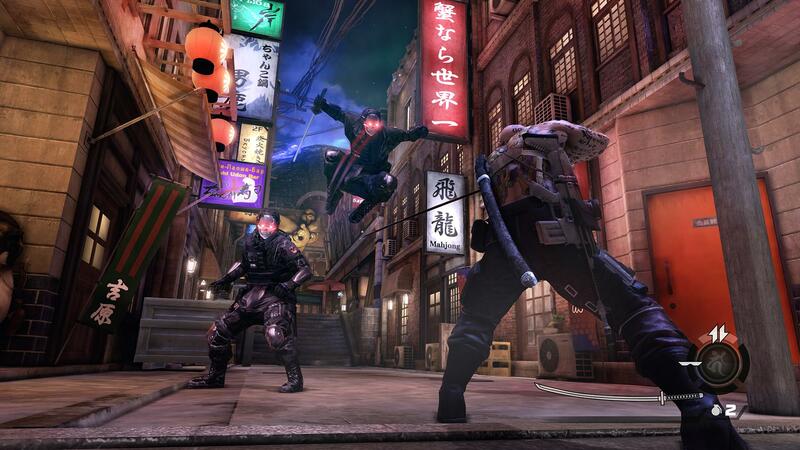 Team Ninja only announced it was finally moving on from the game late last year. Itagaki's departure also gave Team Ninja a chance to expand beyond the two franchises it was so closely associated with. That hasn't always turned out well (2010's Metroid: Other M is a rather controversial installment of the series), but future collaborations with Nintendo (and fellow Tecmo team Omega Force) on Hyrule Warriors and Fire Emblem Warriors turned out well. Team Ninja also handled Dissidia: Final Fantasy NT for PS4, and enjoyed a critical success all its own last year with the samurai action game Nioh for PlayStation 4 and PC. The field of video game violence scare-mongering suffered a setback 10 years ago this month when the Florida Bar recommended that attorney Jack Thompson be disbarred and prohibited from practicing law in the state for a full decade, which would have put his return right about now-ish. Thompson had been one of the key figures pushing for a ban of 2 Live Crew's "As Nasty As They Wanna Be" in the early '90s, and played a key role in stoking the fire around violent video games in the following decade. Now, with Take-Two ramping up for the launch of Red Dead Redemption 2, video game violence back in the headlines, and school shootings never having left them, all the pieces seem well positioned for a Thompson revival. Well, almost all of them. Had he played his cards right, Thompson might now be looking at the end of his exile and ready to pick up where he left off. Suffice it to say, he did not play his cards right. (Although to be fair, after racking up dozens of disciplinary issues leading up to the disbarment, it wasn't a great hand to begin with.) Besides walking out of his disbarment hearing and claiming that the judge's loyalty oath had been forged, he filed a civil rights lawsuit against the Bar and the Florida Supreme Court when it seemed they were ready to kick him to the curb for good. He was permanently disbarred in September of 2008, and few in the industry were sad to see him go. There's more than one way to clone a game. 10 years ago, we saw a rare breed of copycat in the industry as the PC point-and-click adventure game Limbo of the Lost came under fire for cribbing from other games. But this wasn't the usual bit of Threes/2048 thievery or PUBG/Fortnite Battle Royale copying. As brought to wider attention by now-defunct site GamePlasma, Limbo of the Lost was built using backgrounds that were in many cases just modified screenshots of popular games. GamePlasma produced convincing evidence that the game had stolen art from The Elder Scrolls IV: Oblivion, and a closer look revealed that Limbo of the Lost had also cobbled its world together from pieces of Thief: Deadly Shadows, Diablo II, Painkiller, Unreal Tournament 2004, Enclave, Return to Castle Wolfenstein, and plenty more. The game's publisher Tri Synergy said it was "shocked" by the revelation and immediately discontinued the game. It was the first project for the game's developer, Majestic Studios, and quite understandably, also its last. In June of 2008, we saw three distinctly different approaches to the how developers and publishers could take negative reviews. First up, Electronic Arts. When asked to estimate Metacritic averages for some upcoming EA games, CEO John Riccitiello took it as an opportunity to knock Metacritic and reviewers in general. "It used to be...All Metacritics were higher once upon a time because it was ten professionals rating them. Now, sort of anybody with a pen can rate them and it ends up with a bit of a wider track some times," Riccitiello said. "EA doesn't usually get the benefit of the cult - 'everybody has to rate it 100' thing going on - that happens sometimes even when they may not, based on the review, have played more than the first 15 minutes of the game. But that's a separate issue." Clearly both Metacritic and reviewers have their flaws, and both deserve some criticism. But when the CEO of what was at the time the largest third-party publisher in the world suggests that other companies' games are getting a pass based on 15 minutes of play, it is hard to see it as anything other than a cry of "fake news," an attack on the credibility of the gaming press as a whole used to distract from one's own shortcomings. I would call it childish, but the bar for that was already being set by Silicon Knights' Denis Dyack, who that same month picked a fight with NeoGAF posters who had been bad-mouthing his upcoming game, Too Human, challenging them to post whether they are "For" or "Against" the game. "When the game is released and everyone plays [the] game all the speculation will be over. If I am wrong and gamers in general think the game is 'crap' then I am comfortable with getting tagged 'Owned by the GAF'," Dyack said. "However, if I am right and it is received well, I would like to see those 'Against' to be tagged with 'Owned by Too Human'." Too Human released to tepid reviews and received a 65 Metacritic average. However, it does not appear that anyone received the custom tags. Dyack's own account has been banned since August 20, the day after Too Human's release. Now let's look at Atari for an example of the right way to do things. (Not sure I've ever typed that exact sentence before.) The company's Xbox 360 game Alone in the Dark released in June, and received an unimpressive Metacritic average of 58, with an unusual number of very low scores in the mix. Atari handled the situation like a proper company staffed by actual adults, saying it was happy with some of the scores and adding, "We believe the game speaks for itself." ● EA's Peter Moore says "the future couldn't be brighter" for the FIFA franchise. The Ultimate Team mode would be introduced in the series four months later with the release of FIFA 09. ● "We are working on a fix for this and your breasts should be back to normal soon." ● Microsoft's Shane Kim says turning the Xbox's fortunes around in Japan will be "a longer-term effort." ● Microsoft's Robbie Bach says Windows Mobile devices will outsell the iPhone.